Mimi Thorisson’s blog, Manger, has been one of the biggest influences for me within the past few months. She does an amazing job of using seasonal ingredients, and she also happens to pick ingredients that are very popular in my household – like creme de marrons. If you aren’t familiar with this delectable delight, it’s basically chestnuts, sugar, and heavy cream. You can make it yourself, or, if it is available to you, you can purchase it pre-made (our household favorite is Clement Faugier). Clement Faugier’s creme de marrons comes in a can, or, if you’re like Jules, the tube form makes a nice snack. Just squeeze directly into your mouth. 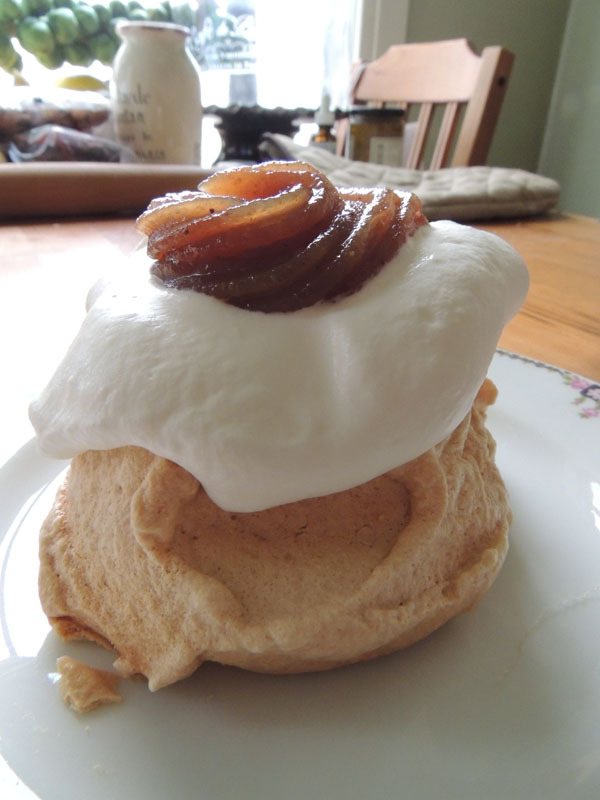 Basically, you make a meringue, top with creme de marrons, and freshly whipped cream. 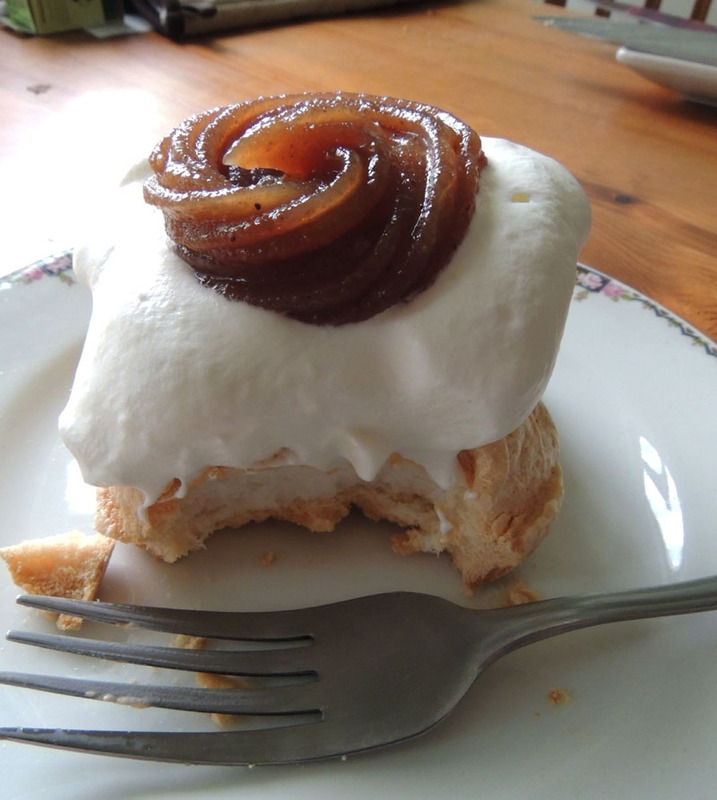 Mimi’s version also includes marrons glaces (really difficult to find in the US, and very expensive if you do find them) and a nice dusting of powdered sugar to complete the “Mont Blanc” look.